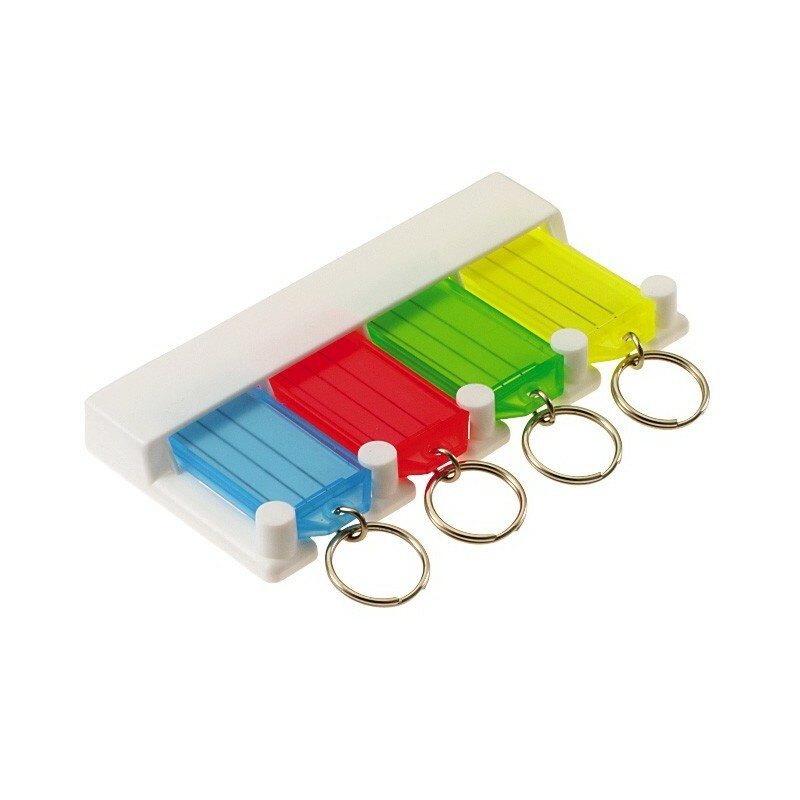 Rugged plastic rack keeps key tags organized. Supplied with four tags and adhesive strips to mount anywhere. Key tags come with jump ring to help keys lie flat.